Some good information, including reviews of the device can be found on gpstracklog.com and on Garmin's website. What is involved in geo-tagging: I match the time I took the photos to a time mark on my GPS tracks. I use PhotoLinker to do this. I then can display the photos on a map or in conjunction with other geo-tagged files. Although Garmin BaseCamp does offer the feature of geo-tagging photos, the implementation is not as robust as PhotoLinker. With PhotoLinker I can process hundreds of photos at a time. In addition to geo-tagging, PhotoLinker can also write meta-data to other fields in the photo's meta-data. i.e. The photographer's contact info, copyright and license info, info about the subject of the photo, IPTC tags, etc. (These additional features are not available in iPhoto but are supposedly available in Aperture. I have not yet purchased a license of Aperture to do testing to compare it with what PhotoLinker does.) These additional meta-dataThere are several major meta-data formats for photos. Before one decides to use any of them an attempt to familiarize oneself with the technical aspects of each, the use of any particular meta-data standard the archive with which the depositor wishes to deposit the results of the Language Documentation project. Also not to be overlooked is the way the tools one is considering using actually implement that particular meta-data standard. (Example Case with Aperture.) The three Meta-data standards I have worked with are IPTC, XMP, and Exif. editing features makes PhotoLinker have a more central part in my photo processing workflow. Mapping language boundaries: Mapping language boundaries, is difficult. If a region is marked as speaking a particular language what does that mean? Does it mean that the ground there speaks a different language? No, language is incarnate in people. So mapping languages is really taking a geo-point and declaring what language is spoken by people who live at that point. Obviously, one of the challenges is that people are not stationary like sediment or layers of rock in the earth. So in a sense there is a degree of ambiguity in mapping language boundaries before one even considers issues like diglossia. Languages are spoken in areas that can be unclear, may overlap, and may be contested; is it appropriate or possibly advantageous to represent language locations by a point on a map? In projects that study a number of languages, or that record the same language in different countries, how can the projects and languages best be represented? Could placemarks that reveal locations of where recordings were made cause problems, for example in difficult political situations? The exact location for many old recordings is not known, so should a “prototypical” place be selected? Geo-Photos and the role in elicitation: Comparatively, the mapping of geo-tagged photos is a relatively simple thing to add or to do during the course of a language documentation project because they are representative of a single time and place. Photos of objects and events can also be a real asset in describing the environment in which a language is spoken, and the concepts to which lexical items refer. 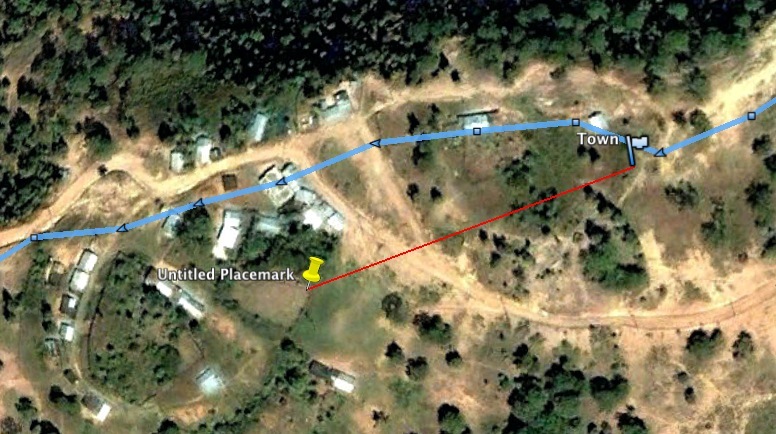 The ability for a researcher to send a GPS unit and a Camera with a language consultant to the consultant's village allows the researcher to see (upon the successful return of the GPS unit and Camera) geo-spacial relationships from a perspective which might not be possible or practical otherwise. The photos from such a trip also provide material for discussion and the elicitation of lexical items and or concepts. One particular area of elicitation which can be explored through this method is ethno-botany. In traditional field linguistic research there is often an under described wealth of ethnic knowledge and linguistic terms relating to plants and their uses. Waypoints: Particular points in time with a specialized name and icon. Activity Log: A series of coordinates over time. Track Files: Series of coordinates without time. For a discussion on these data types in other models of Garmin GPS's see these hints. These types of data are all transmitted to the computer via a .gpx file (more on .gpx files). However, GPS BabelFE can directly access the data on the Venture HC, and it supposedly downloads the data as any of a variety of formats. It is unclear if the data is first accessed in the GPX format and then converted or if it is accessed directly and then converted. GPX is the standard GPS data exchange format. So, unless my workflow dictates otherwise I always download my data as .gpx files. Under testing, the dynamics of this particular Garmin model allow for about 9 hours of continuous recording of coordinates while recording a coordinate every 15 seconds. This equates to about 2200 points in an activity log. Garmin's Website describing the Venture HC says that it has room for 10,000 points in the device[ref 3] This is also confirmed by a very helpful Manual put together by the The Virginia Geospatial Extension Program[ref 4]. However, the Garmin manual does not explicitly[ref 5] say that all of the memory can be used to store a really long Activity log file. It is my experience that not all of these points can be used for the active Actively log. It is my assumption that some must be designated for saved track logs (up to 10), routs, and waypoints (up to 500).Although it is common practice to preserve the original files in Language Documentation and send the original files as they were created to the archive. It has been my experience that sometimes extra Waypoints from a trip might be accidentally added to an Activity Log or that the Waypoints from a previous trip were not deleted. This adds "noise" to a .gpx file. This "noise" should be considered and perhaps removed when archiving a .gpx file (or at least a noise free version included in the set of files sent to the archive). It has also been my experience in working between the Venture HC and BaseCamp that the icons attached to the Waypoints are not always transferred from the device to BaseCamp correctly. This is rather frustrating and I am not sure how to correct the problem. Therefore icons alone should not be the bases for describing a way point. Editing software like BaseCamp can add longer names to Waypoints than one can add directly from the device. These longer names can make more sense to people using the GPS data and may make more sense in the final presentation form of the data. 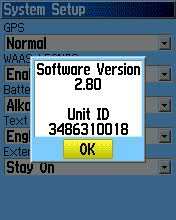 Using Garmin Web Updater: The unit I have came with software version 2.30 installed. On the third attempt to update the software with Web Updater It was successfully and updated the unit to version 3.30 (Update on Garmin's Website). Then Web Updater said there was a GPS Chipset Type M2 (Region File) update that needed to be applied. So I clicked "Apply" and let it run for 8 hours over night with no results. Very scary, when one considers the manny reports out there on various forums which say something to the effect of "I turned my GPS into a brick by disconnecting it while it was updating...". However, I disconnected the unit after 8 hours and took the batteries out (total power off). I then reconnected the unit and tried the update again an it took in under 3 minutes. There are some reports of Web Updater not working with some units (also eTrex Ventrue HC models). There is an alternative place to find software updates and apply them to a unit using WindowsXP or newer Windows OS. However, this is not the Garmin recommend method. Taking photos of your screen: If the Garmin unit is used with a Windows OS (XP or newer), Garmin has a utility for taking screen shots. In this way tutorials can be created for working with language consultants. This utility is called xImage and is freely available from Garmin. For more advanced Garmin GPS units there are two methods for changing the onboard maps included in each device. However, there are several things to consider when looking at these two options. First, map coverage from purchased maps from Garmin usually do not include significant detail in the areas of the world which are prone for language documentation (remote parts of Africa, Highlands or Islands of Asia, or in my case the highlands of Guerrero State, Mexico). Aside from issues of cost, availability, and detail, Garmin maps are not as accurate as open source maps available through projects like OpenStreetMap (where data is available from both sources on the same location). However, both of these utilities require more skill to operate than iTunes requires. I was not able to successfully install an open source map on my Venture HC. This may have been due to the software, my proficiency with the utilities, or it may have been due to the hardware. It is supposedly possible with this Venture HC. I have found several references to this ability on forums. Also of consideration, the Venture HC only has 24MB of room for maps. Given the challenge of adding new maps to this unit. I figured that my efforts would be better spent if I were to wait to attempt a map install on a device which could handle a larger quantity (MB) of maps. Because I was not able to install custom maps I was also not able to test the ability to restore Garmin's Maps to the device. However, there appears to be two points of consideration here. One could use Garmin Mapsource to "re-install" the default maps. Or one could just un-install the custom maps they have loaded. Some discussions in the forums indicate that the base/default map is not actually deleted but rather not accessible when a custom map is installed. Aside from OpenStreetMap there are some other places to find maps or images of maps. The best bet is to get connected with a local cartography group. One more international group, which I have found helpful in finding resources for working with OS X is www.maps-gps-info.com. After a 9 hour trip I decided to save the trip to the track log. This had the effect of deleting the time coordinate from the track log while maintaining some the GPS coordinates. I say "some GPS coordinates" because it also limited the file to 300 coordinate readings from the 2000+ reading I had in the Activity log (further reading). This was not discovered until I had downloaded the activity log new and the track file (which I thought was the full version of the Activity log). Since the time stamp details are crucial for photo tagging and relating a GPS coordinate to other events in the flow of the research event. This "feature" in the Venture HC limits the useful life of the GPS unit to 9 hours before one must download the activity log, unless one takes fewer GPS readings. i.e. if a GPS reading was only taken every 30 Seconds rather than every 15 then the life of the device would theoretically double to 18 hours. This "feature" is discussed on this forum as well. At this point I am not recommending the Venture HC. Rather, I am recommending the eTrex Legend HCx, or the eTrex Vista HCx. This Recommendation is not based on any experience with these devices. But based on two recommendations R1, R2. I was rather depressed when I realized that I lost those 9 hours of data. So for me, in my workflow, being able to write the activity log to a MicroSD card became a high ranking constraint. I was not able to text the accuracy of the Venture HC relative to other hand-held GPS units. But in looking at the exported tracks on GoogleEarth the off set was measurable in feet. In my test as shown below, I did mark the waypoint outside of town and then walked down the dirt path. When one considers that the margin of error for the Venture HC is ±24' (because it is a GPS device and there is an introduced amount of inaccuracy) and that there might also be a slight margin of error in GoogleEarth, the results were acceptable and impressive. When comparing the Venture HC to other Garmin had-held devices I have noticed that it does find its position via triangulation faster and in more areas (like in buildings and under dense foliage or between skyscrapers). Seamless exchange of data with your other devices (most often your computer.) I recommend USB, but Bluetooth is sometimes an option. Avoid serial connections when possible. Make sure that parts of the activity log is not removed upon storage. (Some devices do not store the altitude or the time data). Understand how you are going to be using the data collected so that you can master your workflow. Your workflow may require the use of a particular feature like, Custom Maps. So that feature might become an evaluation point for you. This is all OS X talk... is there anything for Windows? Well, I don't use Windows when I can avoid it. But I have seen people doing similar things to what I am doing with various applications. One application I have seen for adding metadata to photos is iTag. Another application I have seen is PhotoME. GeoSetter is a Windows app which seems to be more of just a location metadata editor. There is a Firefox Plugin called Opanda. I cannot comment on the usability or results of any of these applications, because I have not used it. However, if you want to write up a workflow or a recommendation for doing this kind of thing on a different OS then email me and I will consider what you have written and post it here. This entry was posted in Cartography, Geo-Tagging, GPS, Hardware, Language Documentation, Linguistics, Outdoors, Running On OS X and tagged 10.6, eTrex, eTrex Venture HC, Garmin, geotaging, GIS, GPS, Language Documentation, OSX, SL by Hugh Paterson III. Bookmark the permalink.